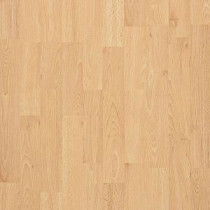 Buy online Presto Beech Blocked 8 mm Thick x 7-5/8 in. Wide x 47-1/2 in. Length Laminate Flooring (20.10 sq. ft. / case) 04708 and leave review or share with Your friends. Presto Beech is a beautiful, worry free floor that's easy to install. Featuring Pergo's patented surface protection that minimizes scratches and dulling. Pergo Presto is warranted against wear, staining and fading for 30 years. 8 mm thick x 7-5/8 in. wide x 47-1/2 in. Length. 20.10 sq. ft. per case, case quantity: 8, case weight: 29 lb.